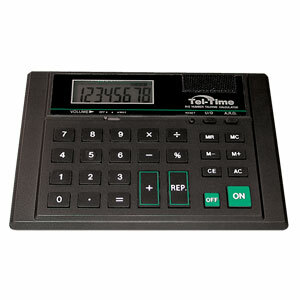 • This 8-digit, full function calculator. • Also features repeat, memory, auto power shut-off, & adjustable volume. • Audio result may be given in either units or by digit. • Uses 2 AA batteries (not included). • Available with: Private Ear.